LAS VEGAS – Hell on the Red has been one of the best barrel racing horses in ProRodeo in 2018, but she’s still just 6 years old. 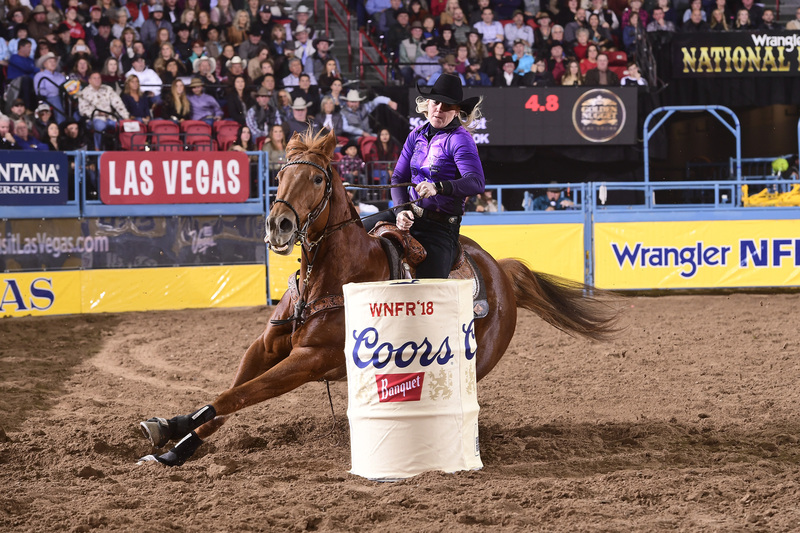 The sorrel mare with a National Finals Rodeo legacy is the guiding force for Kylie Weast in their first qualification to the bright lights of Las Vegas. The two started out on fire, placing in the first three rounds. By the fourth round, though, Reddy wasn’t happy with the setup at the Thomas & Mack Center, and she showed it as she and Weast tried to make their way down the alley and into the arena. The mare reared in the alley, then they knocked over a barrel, resulting in a five-second penalty. For the fifth round, Weast rode Morning Traffic, a 7-year-old mare with the nickname “Martini” owned by Cody and Michelle Darling, and two barrels went down. In Round 6, Weast saddled her own secondary horse, Namgus D15, a 9-year-old sorrel gelding she calls Wolfy. There were no penalties, but they finished out of the money. It worked. On Wednesday night, Weast and Reddy rounded the cloverleaf pattern in 13.74 seconds to finish in a tie for fourth place in the seventh round. Weast pocketed $8,885 and pushed her season earnings to $147,253. The young red mare needed a break. After all, she’d only been on the futurity trail one year before breaking out in ProRodeo in 2018. The Las Vegas experience is a lot to throw at a young horse, much less a first-time qualifier. 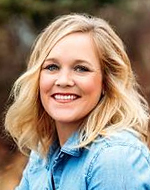 Weast is the fourth person in her immediate family to qualify for the NFR and the third to make a run down the alley at the Thomas & Mack Center – Massey was a three-time qualifier in the early 2000s, and their mother, Renee Ward, ran in the arena in 1985, the first year the championship took place in Las Vegas. Things seemed to be figured out as Weast prepares for the final three nights of the ProRodeo season. But as a horse trainer and a member of the family that raises the equine athletes, Weast will always put the horse first. If Reddy needs another break, she will get it. That’s the respect she has for her precious mare.